Since the new year, we've come down from the upper fells and have started doing some estate work around the valley. 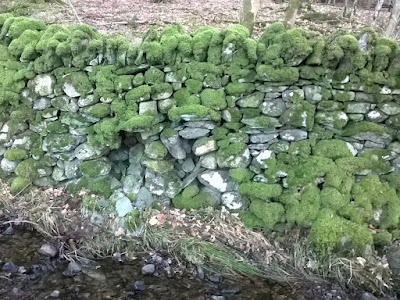 Our first job was to repair a couple of sections of dry stone wall at Low Wood, on the High Close estate just outside Grasmere. 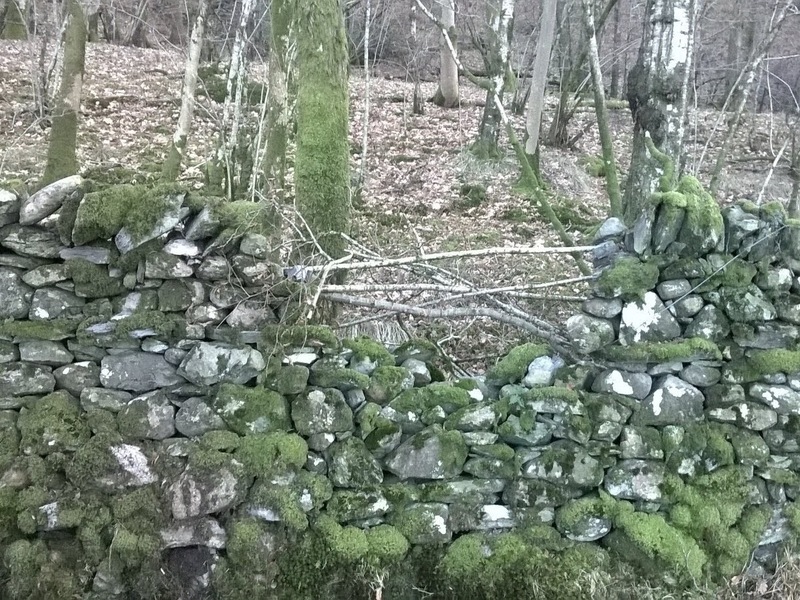 With the wall keeping livestock out of Low Wood, it was important that the gaps were repaired quickly to prevent sheep from entering the woodland. This helps both keep the tenant farmer happy and also stops sheep entering the woodland and nibbling away at early woodland flowers such as Snowdrops and Lesser Celandine. As a small Ash tree was growing close to the wall, and was likely the cause of it falling down, we decided that the tree should be removed to prevent any further damage. 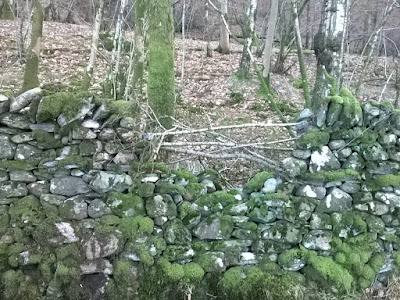 Trees growing close to a dry stone wall can often destabilise it, especially during strong winds, either by brushing against the wall and loosening stones or by the root plate moving and damaging the wall from below. Removing trees like this can also be beneficial by allowing more light into the woodland, which helps woodland flowers to flourish and also gives other trees more space to grow. 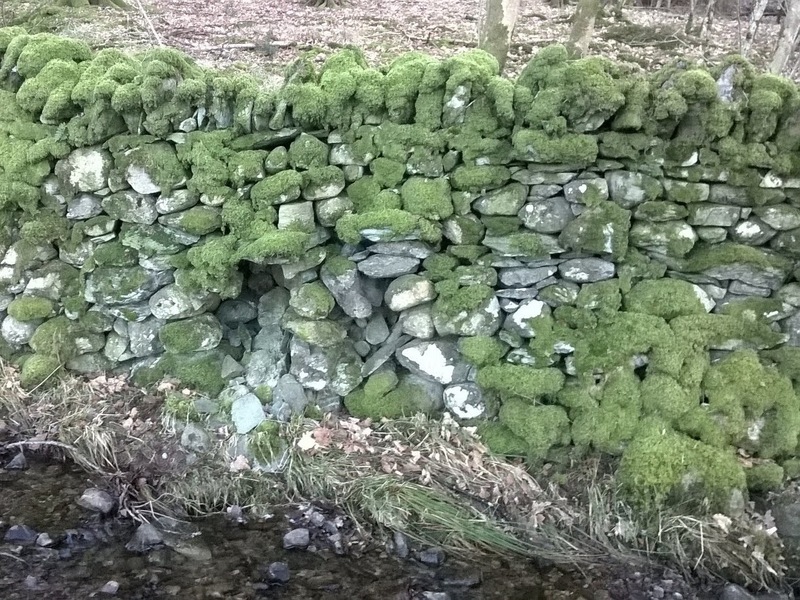 The second section that we worked on was more pre-emptive as it had started to lose stones from half way down the wall and would likely collapse in the short term. The wall was stripped back beyond the area of collapse to where the wall was more stable and repaired in the usual manner. Both wall gaps took roughly a day to repair. Our next job was to build a deer exclosure in a small woodland on the edge of Loughrigg Common. The area, known as Billy Plantation, had recently been thinned and as a bit of a trial we've put up a couple of deer exclosures to see how the woodland develops without any grazing pressure. If the trials go well we may look into stock proofing the whole plantation at a later date.